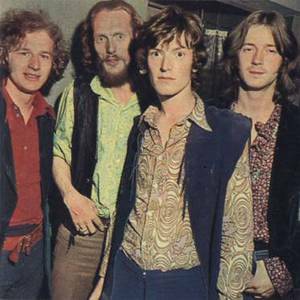 Blind Faith formed in London, England, in late 1968 when Eric Clapton (ex-Cream) and Steve Winwood (ex-Traffic) were at loose ends following the demise of their former bands and began to spend time together again, jamming and working on new material at Clapton's house in Surrey (they had previously collaborated on a Clapton project called Eric Clapton & The Powerhouse. At Winwood's instigation, Cream's former drummer Ginger Baker was invited along, and they subsequently spent some time recording in the studio. Rick Grech, bassist with Family, was invited to join them...and he left Family, mid-tour! Record producer Jimmy Miller came in to bring some focus to the recording of further material.